We find the practice of a charity contracting for management services with a business owned by that charity's CEO atypical when compared to how other charities operate. 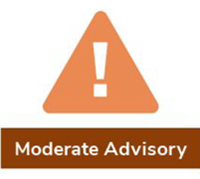 We have reached out to Center for Union Facts for further clarification, but have not received an adequate explanation and have thus issued this Moderate Concern CN Advisory. The Center for Union Facts has requested that Charity Navigator also disclose that its arrangement with the management firm is reviewed and approved annually by its independent officers and directors in a process that complies with the organization's conflict of interests policy, and its financial statements are audited each year by an independent CPA. Accordingly, please see relevant pages from the organization's 2011 Form 990 filing for more detail: 2011 page 6 and 2011 Schedule O for the former, and 2011 Page 3 for the latter.